See in Glossary, or Blend Trees). 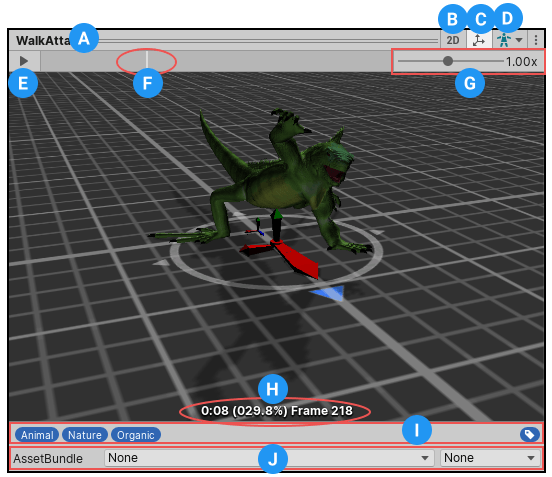 You can select Animation Clips from imported FBX data. See in Glossary from this asset. See in Glossary, Animation Compression, Audio Compression, Build Compression. 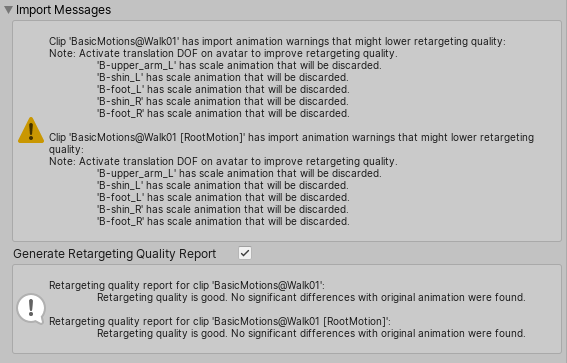 See in Glossary to use when importing the animation. See in Glossary. 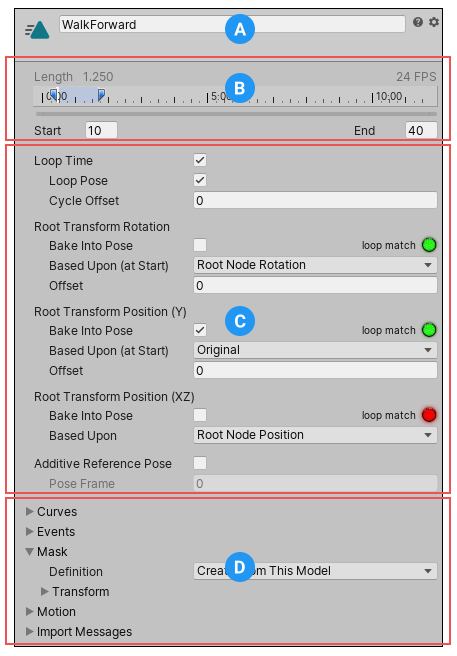 This means that Unity doesn’t reduce keyframeA frame that marks the start or end point of a transition in an animation. Frames in between the keyframes are called inbetweens. See in Glossary count on import, which leads to the highest precision animations, but slower performance and bigger file and runtime memory size. 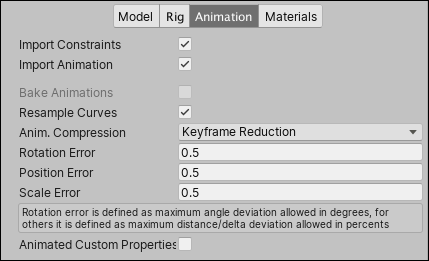 It is generally not advisable to use this option - if you need higher precision animation, you should enable keyframe reduction and lower allowed Animation Compression Error values instead. See in Glossary Reduce redundant keyframes on import. If selected, the Animation Compression Errors options are displayed. This affects both file size (runtime memory) and how curves are evaluated. See in Glossary to define frame ranges for each clip. See in Glossary Keep center of mass aligned with the root transform position. See in Glossary Expand this section to manage masking imported clips. See in Glossary Quality Report. See in Glossary has inbetween transforms and rotation that will be discarded.